Donald Glover’s second surprise of the weekend. 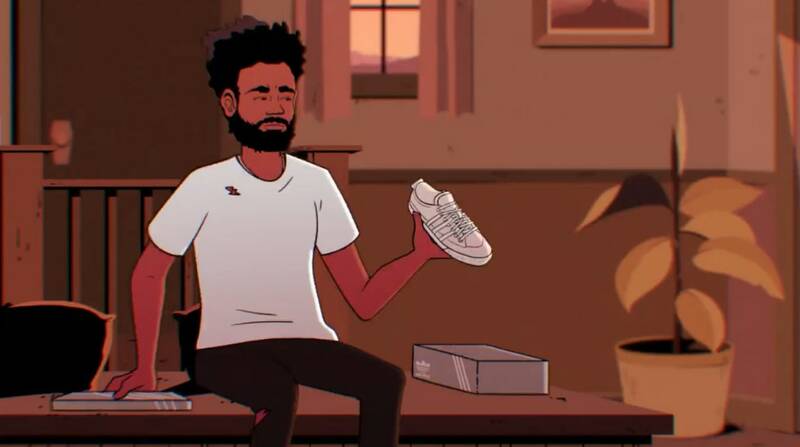 Donald Glover (Childish Gambino) didn’t just drop a surprise video over Labor Day Weekend, he’s also surprised us all with news of a sneaker collaboration with the German powerhouse that is adidas. In his animated Labor Day Weekend video titled “Feels Like Summer,” Glover strolls through suburan streets in tattered clothes and Velcro shoes, but nw thanks to a tweet from adidas, it looks like he’ll be swapping out the slip ons for the three stripes. The tweet is accompanied by an animated short by Ivan Dixon (who’s also responsible for the “Feels Like Summer” visual). In classic Gambino fashion, the details are still hazy, but the brand is promising “a collaboration without boundaries.” According to the official release, the partnership will be multi-faceted, including creative projects, footwear and apparel.